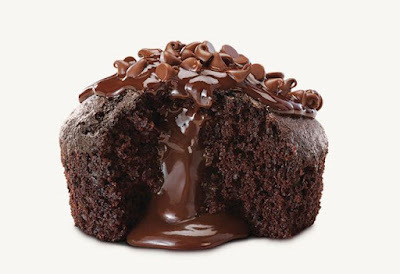 Arby's debuts a new, limited-time Molten Lava Cake, featuring Ghirardelli chocolate, as we head into 2017. Specifically, the new, single-serving chocolaty dessert is a warm chocolate cake filled with warm Ghirardelli chocolate, topped with chocolaty sauce and chocolate chips. While it's being marketed as new, the new cake is more of an upgrade or revamp as the chain has occasionally served a molten lava cake since 2013. Ghirardelli chocolate and chocolate chips were not present in the previous version.